There are a number of delicious foods you can eat for the sake of your health -- but still, all too often, we hear complaints that healthful food just doesn't taste good. Anise seeds provide a sweet taste similar to that of black licorice when used in foods. They can calm an upset stomach and help with coughs and runny noses. Thanks to presumed estrogen-like properties, anise may increase milk flow in breastfeeding mothers, treat menstrual symptoms and boost libido, according to WebMD. The leaf and berry are helpful in treating a vast array of ailments: calming anxiety, lowering inflammation and blood pressure and strengthening the immune system, according to WebMD. This root is often used in Chinese medicine, treating conditions related to cold and allergies, like running nose, itching, and sneezing. It is also used to strengthen the immune system. It's possible to cook and eat the root of this plant as food, but, along with its leaves and seeds, it's also used in supplement form, mainly to fight bacteria and inflammation and to "detox" the body. The petals of this flowering plant (a relative of the garden-variety marigold) are full of the plant-based antioxidants known as flavonoids, which fight germs and inflammation, according to the University of Maryland Medical Center. Calendula is often used to help ease upset stomachs, but when applied directly to the skin, may help heal burns, cuts and bruises. It has also been used to treat a sore throat, as its anti-inflammatory properties seem to decrease the swelling there, according to WebMD. Cilantro is high in vitamin K, reports Livestrong. And that, in turn, improves bone strength and helps the blood clot. There's some research to suggest that cinnamon may lower blood sugar levels in people with type 2 diabetes and reduce cholesterol levels. It's also a very good source of fiber, with 4 grams per tablespoon, and, because of that warm, sweet flavor, it might also satisfy your cravings for treats without adding calories or fat, Cheryl Forberg, R.D., told YouBeauty.com. Like cinnamon, cumin may help people with diabetes keep blood sugar levels in check. But it also has powerful germ-fighting properties that might prevent stomach ulcers, YouBeauty.com reported. Cumin is also a very good source of calcium, iron and magnesium. Fennel, native to the Mediterranean area, has a similar flavor to licorice, just like anise. And while both made our list, it's for different health benefits. Fennel can help with bloating, gas and other digestion issues, according to WebMD, and may be particularly useful in quelling heartburn, Health.com reported. This popular, spicy root is a well-known nausea remedy for pregnancy-related illness, as well as chemotherapy and motion sickness. There is some limited evidence that it might be an effective painkiller too: treating arthritis, joint pain and muscle soreness. There are a number of different types of this healthful root. American ginseng has been shown to decrease blood sugar levels in people with Type 2 diabetes, slow colorectal cancer cell growth, shorten how long that cold lingers and boost immunity. Asian ginseng also seems to boost immunity, as well as improve mental health and reduce stress. It's what's known as an adaptogen, which helps the body balance the natural stress response, writes Mark Hyman, M.D. The ancient (and well-studied) root has been used for more than 5,000 years for memory, energy and to combat depression, Dr. Patricia Fitzgerald, HuffPost Wellness Editor, explains. 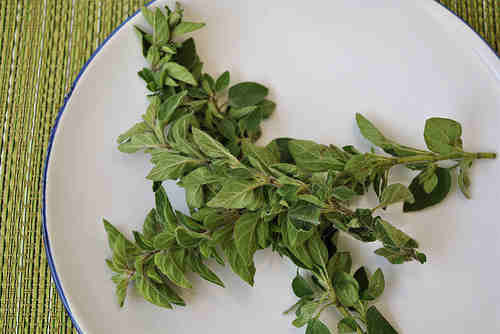 This type of basil is often used to treat high cholesterol (although the research isn’t conclusive). What’s more, according to WebMD, some limited research shows many other benefits from the herb, including upper respiratory infections, asthma, diabetes and more. 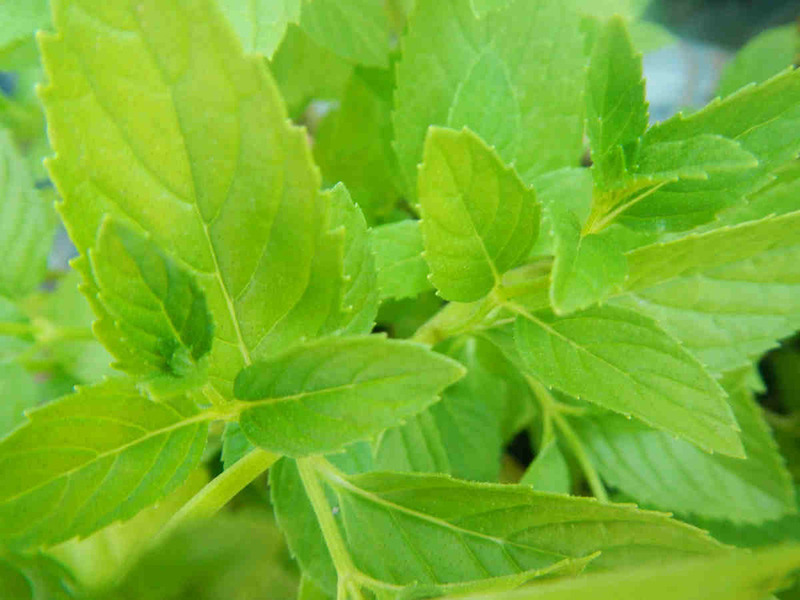 Researchers believe that this is because compounds in holy basil decrease pain and swelling. It is also used to alleviate the effects of stress. The well-known calming and soothing effects of this plant help ease stress and promote sleep. But there are some lesser-known benefits of lavender. Eating it, as part of a spice mix, can help beat bloating, Health magazine reported, thanks to its antioxidants known as polyphenols. And, in oil form, it can stop itching and swelling when applied to the skin. You're likely more familiar with licorice in candy form, but licorice root makes for a sweet treatment for coughs, asthma and heartburn, according to the University of Maryland Medical Center. It may also help whittle your middle: A small 2003 study found that people who consumed 3.5 grams a day of a "commercial preparation of licorice" had less body fat after two months. An herb that is often processed into capsule form, milk thistle is thought to help delay the growth of cancerous tumors, thanks to its richness in the antioxidant silymarin, according to National Cancer Institute. Although studies show that milk thistle capsules can be a complimentary treatment from some cancers, the research is not conclusive enough for the FDA to approve its use. It's also known for liver protective properties. Mint is helpful in treating a number of digestive ailments, but most notably irritable bowel syndrome. In one 2011 study, researchers found that peppermint oil was effective in alleviating symptoms of irritable bowel syndrome. This common baking spice is a good solution for stomach problems and seems to fight off bacteria and fungi, according to WebMD. It's a solid source of fiber, and, thanks to anti-inflammatory properties, could help smooth blemishes when applied directly to the skin, according to Glamour. Oregano has both antibacterial and antifungal properties that make it effective against some forms of food-borne illnesses and even some antibiotic resistant infections. It has also been found to be effective against yeast-based infections like vaginitis and oral thrush. 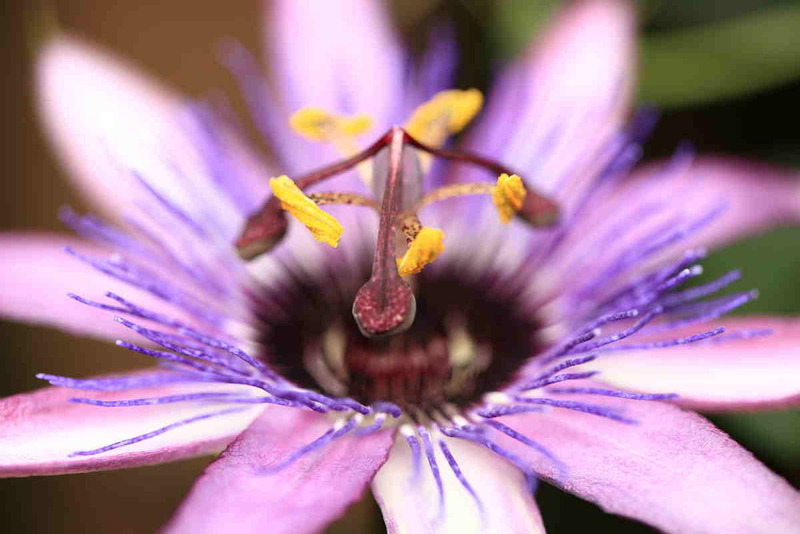 Discovered in Peru in the 1500s by Spanish explorers, this flower has calming effects. It seems to increase certain chemicals in the brain that naturally ease insomnia and anxiety, according to the University of Maryland Medical Center. Experts recommend drinking a passionflower tea or trying it in capsule form. This popular garden herb is rich in rosmarinic acid as well as many other antioxidants, making it fantastic against inflammation. There’s also some evidence that it stimulates the production of acetylcholine, which in turn helps boost learning and memory. This spice can tame PMS symptoms and help with mild to moderate depression. It's also often used to help asthma and coughs, according to WebMD and as an aphrodisiac, but there's little research into why. You can actually eat schizandra berries, according to WebMD, but they're also beneficial in supplement form or dried and steeped into a tea. Schizandra is most well-known for its anti-aging properties. Dr. Oz called it a "miracle pill" and a "youth-enhancer" on an episode of his show, thanks to antioxidant and anti-inflammatory properties that help the body shed toxins. It's an adaptogen, meaning it lowers levels of the stress hormones in the blood. Schizandra has been linked in preliminary studies to treating hepatitis C.
It can also boost liver function and the immune system, as well as ease anxiety, writes Fitzgerald. This common garden herb is full of antioxidants, like thymol, lavonoids apigenin, naringenin, luteolin, and thymonin. Antioxidants prevent cellular damage that can boost overall health and help prevent cancer, inflammation, signs of aging and more. Tumeric, the main spice in curry and a relative of ginger, is used to treat everything from depression to liver disease to skin ailments, according to the National Institutes for Health. Like many folk remedies, there isn’t conclusive research on how effective the spice is against many of these maladies. But some good research shows that tumeric has helped patients with arthritis and with heartburn. Britain is on the brink of a health crisis with one in four adults already obese and the figures set to climb to 60 per cent of men and 50 per cent of women by 2050. Three in every 10 children aged between two and 15 are overweight or obese. Being overweight raises the risk of heart disease, diabetes, cancer and stroke. Obesity and diabetes already costs the UK over £5billion every year which is likely to rise to £50 billion in the next 36 years. Why have people become so big? Processed food contains large amounts of fat and salt, often as a preservative so that food lasts longer.